Wherever people bake bread and make cheese, they enjoy them together. For this class, the Artisan Baking Center’s Craig Ponsford teams up with cheese authority Janet Fletcher to explore the time-tested harmony between these two ancient foods as we sample seven Artisan Baking Center loaves baked expressly for the class paired with seven artisan cheeses. You’ll be a more discriminating bread and cheese consumer when you leave, and you’ll get lots of ideas for holiday entertaining. Class price includes a glass of wine or beer. The retail store will be open before class from 5-6pm. Please come early and peruse! JANET FLETCHER is the publisher of the Planet Cheese blog, the author of three books on cheese (Cheese & Wine, Cheese & Beer and The Cheese Course) and a member of the invitation-only Guilde Internationale des Fromagers. 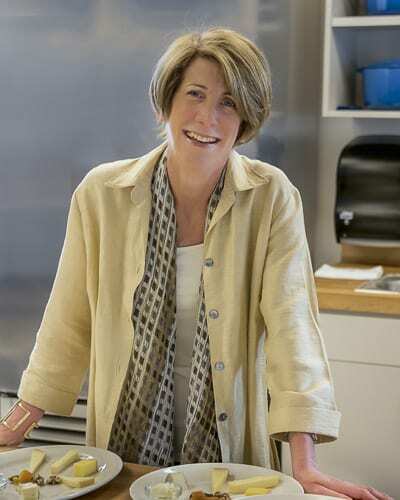 Her newspaper journalism has been honored with three James Beard Awards and the International Association of Culinary Professionals Bert Greene Award.